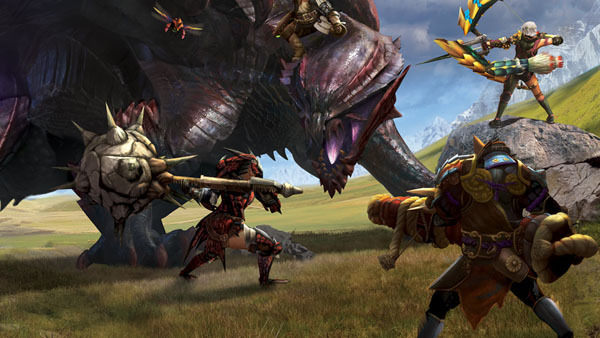 Monster Hunter 4 Ultimate breaks two million sales. Monster Hunter 4 Ultimate continues to lead in this week’s Japanese software sales. The 3DS update to Monster Hunter 4 moved another 101,000 copies, breaking through to two million total retail sales. The highest-selling new release this week is 2K Games’ Borderlands: The Pre-Sequel for PlayStation 3, which sold 12,400 copies, placing ahead of D3 Publisher’s Onechanbara Z2: Chaos for PlayStation 4, which debuted at 10,500. An Xbox One release also made the top 20 with Sunset Overdrive. The Insomniac Games-developed open-world title debuted at 3,500 sales. It didn’t do much for hardware, however, as the console’s sales dropped by 14 units.